CALGARY, Alberta, Oct. 01, 2018 (GLOBE NEWSWIRE) -- SugarBud Craft Growers Corp. (“SugarBud” or the “Company”) (trading as Relentless Resources Ltd.) is pleased to announce that it has received conditional approval from the TSX Venture Exchange (“TSXV”) in respect of a series of transactions (the “Transactions”) that will collectively constitute a “Change of Business” of the Company from an oil and gas company to a cannabis company. In connection with the Transactions, the Company will file a filing statement (the “Filing Statement”) under SugarBud’s profile on SEDAR at www.sedar.com. The Transactions include, without limitation: (i) the completion of its rights offering to holders (“Shareholders”) of common shares of SugarBud (“Common Shares”), the results of which were announced on September 20, 2018; (ii) the acquisition (the “Acquisition”) of Grunewahl Organics Inc. (“Grunewahl”); (iii) the second tranche of a strategic investment with Inner Spirit Holdings Ltd. (“Inner Spirit”); (iv) the entering into of a strategic alliance agreement with Inner Spirit that will govern the on-going business relationship of the parties; and (v) the appointment of Darren Bondar, Chief Executive Officer of Inner Spirit, as a director of SugarBud, each as will be described in the Filing Statement. Closing of the Transactions is subject to a number of conditions (“Conditions”) including, but not limited to: final TSXV approval of the Change of Business and the issuance by the TSXV of its final bulletin in respect of the Transactions; approval of the Transactions by greater than 50.1% of Shareholders by written consent; and closing conditions customary to transactions of the nature of the Transactions, including those described in the Filing Statement. SugarBud believes that the Conditions will be met in a timely manner, and the Transactions are currently scheduled to close on or about October 17, 2018 (“Closing”). 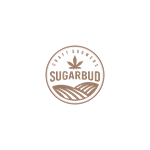 At Closing, the Company will be listed on the TSXV as a Tier 2 Life Sciences Issuer and trading of the Common Shares will commence on the TSXV under the name “SugarBud Craft Growers Corp.” and the trading symbol “SUGR”. At Closing, the Rights Offering will be completed and participants in the Rights Offering will receive their Common Shares and Common Share purchase warrants shortly thereafter. Completion of the Transactions (including the Rights Offering) is subject to a number of conditions, including but not limited to, final TSXV acceptance. There can be no assurance that the Transactions will be completed as proposed or at all. Investors are cautioned that, except as will be disclosed in the Filing Statement, any information released or received with respect to the Transactions may not be accurate or complete and should not be relied upon. Trading in the securities of SugarBud should be considered highly speculative. The TSXV has in no way passed upon the merits of the Transactions and has neither approved nor disapproved of the contents of this news release. This news release may include forward-looking statements including opinions, assumptions, estimates, the Company’s assessment of future plans and operations, and, more particularly, statements concerning the completion of the Transactions and the trading in the Common Shares under the new name and new symbol. When used in this document, the words “will,” “anticipate,” “believe,” “estimate,” “expect,” “intent,” “may,” “project,” “should,” and similar expressions are intended to be among the statements that identify forward-looking statements. The forward-looking statements are founded on the basis of expectations and assumptions made by the Company which include, but are not limited to, the timely receipt of all required securityholder, TSXV and regulatory approvals and the satisfaction of other closing conditions in accordance with the terms of the amalgamation agreement entered into between SugarBud and Grunewahl and the investment agreement entered into between SugarBud and Inner Spirit. Forward-looking statements are subject to a wide range of risks and uncertainties, and although the Company believes that the expectations represented by such forward-looking statements are reasonable, there can be no assurance that such expectations will be realized. Any number of important factors could cause actual results to differ materially from those in the forward-looking statements including, but not limited to: regulatory and third party approvals, including receipt of cultivation and sales licenses from Health Canada, not being obtained in the manner or timing anticipated; the ability to implement corporate strategies; the state of domestic capital markets; the ability to obtain financing; changes in general market conditions; industry conditions and events; the size of the medical marijuana market and the recreational marijuana market; government regulations, including future legislative and regulatory developments involving medical and recreational marijuana; construction delays; competition from other industry participants; and other factors more fully described from time to time in the reports and filings made by the Company with securities regulatory authorities. Please refer to the Filing Statement for additional risk factors relating to the Company. The Filing Statement will be accessible under the Company’s profile on www.sedar.com.